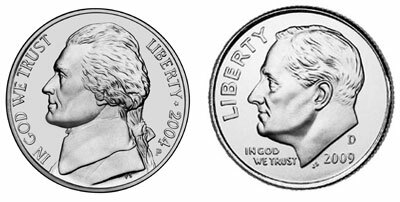 If there’s one thing that drives people crazy, it’s the feeling of being nickel and dimed. And of course, if you want to get people upset, hit them with a fee in a Condo Association. On the flip side, however, you run into the interesting question about the majority subsidizing the behavior of the minority within an Association – my “Shared Cost Delusion” phenomenon. Condo Association Per-Use Fees are the way to smooth this disparity, but they must be used judiciously and fairly. Hit your Owners up with too many of these and you’ve got a recipe for disaster. The counter argument to “it’s not that much money” is fairness. It’s tough to find specific stats for Condos, but the Average Homeowner lives in the same house for 13 years. People tend to stay in Condos for a shorter period of time, so let’s use 10 years as a round number. However, an investment Owner might change tenants five times in that same 10 years. Is it fair for the rest of the Association to absorb the move-in and move-out costs of an investment Owner? Maybe – or maybe not. But you can see how people might get upset. While move-in fees are a fairly innocuous example, pet fees can start getting contentious. But as we’ve covered before, pets can often cause damage that the Association has to front – particularly with landscaping and wear and tear. Those without pets can get upset that they’re paying for damages caused by those with pets. And once emotion gets involved – over any fee – rationality often goes right out the door. As with all things, the key is balance and fairness. First and foremost, don’t go overboard on fees. You don’t want to make everything a Per-Use Fee. You want to stick to things that are measurable and have meaningful and consistent costs associated with them. Two obvious examples – and fairly often implemented – are move-in/move-out fees and pet fees. Other less common examples are for common areas rentals (i.e., party rooms) or pool passes for guests. These tend to be more to deter people from bringing 50 of their friends to the pool every weekend than to genuinely collect reimbursement revenue, but some communities may want to institute these policies. Other future fees Condo Associations might consider are electric car fees. These might apply to Associations that install electric vehicle chargers who want to recapture the cost of electricity, which can add up over the year. When establishing a fee, make sure you have an effective mechanism for collections – avoid petty cash at all costs. Good models that work are annual registration fees (say, for dogs or electric vehicle charging), or for discrete events – i.e., scheduling the use of a common room. It’s not realistic to be chasing after someone for $5 over a pool pass, for example, so perhaps you can sell additional guest passes in bulk – like by the 10 or 20. Realistically, people may be more likely to try to sneak around this, but at least you’ve got an option to offer them if you end up dealing with a Cease & Desist down the line. Uh… we all live in unit 302? We swear? Finally, use your best judgment. This is going to be an area where the Board is going to have to do what’s right for the Association. Owners are going to naturally want to shift costs to the Association, and so are likely going to be against fees. Remember, the Board has a fiduciary duty to the Association, not to individuals. When you’re considering implementing a fee, make sure to have a good communications plan. You need to clearly explain to Owners that you aren’t seeking to nickel and dime them, but rather ensure that the majority is not subsidizing the minority for a certain behavior. In most cases, Owners will actually be supportive once they understand why you’re doing what you’re doing. Controlling costs through Condo Association Per-Use fees means less assessment fees for all.